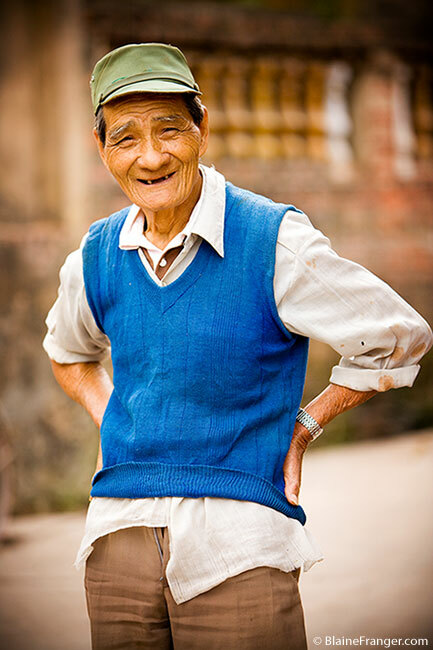 shot this portrait of an old man in Vietnam today. he invited us into his place (with hand motions and noises because he didn't know a word of english) and we checked out his pig farm. he had dozens of pigs, some were huuuge, like 300lbs at least! his vest is awesome. but you know what makes him even cuter? look close!